Just like every year before it, 2015 was different for each and every one of us. Depending on what industry you are in, what company you work for and what products you manage your experience may have been very different from mine. So feel free to chime in with your own 2015 take aways! Roadmaps in the world of Agile development is frequently discussed. The people over at ProdPad have been arguing for years that the solution is a roadmap without dates. This year others, such as Stefan Wolpers, have joined in. There has also been plenty of discussions about it, for example in MindTheProduct on Slack. There has also been similar ideas floating around. The Clever PM has for example been talking about themes and setting the right expectation on indicative time frames. As with many other ideas there is not yet a unison view across the industry. Everyone, including the ProdPad people, seem to agree that there is also a need for a shorter term release schedule with dates. This is an important tool align customers with the development plans, something very valuable in many business to business applications. But all in all, the idea of a roadmap without dates has been gaining a lot of traction. How do we create good, or even great, user experiences? Design thinking has been around “for ever” as a method to ideate around user experience and design. 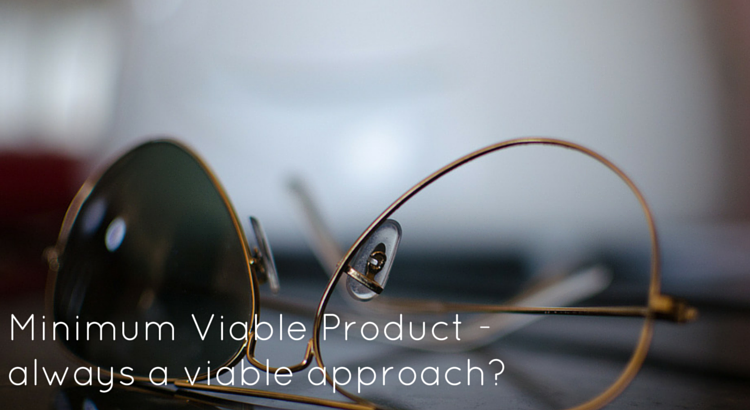 But how about product thinking? User experience and product design should really be focused on the user, and more importantly on the problem that the product solves. Designers need to think about the product, the intention of the product, and the problem that the product aims to solve. Nikkel Blaase from XING outline this idea in a Medium post on “Why Product Thinking is the next big thing in UX Design”. 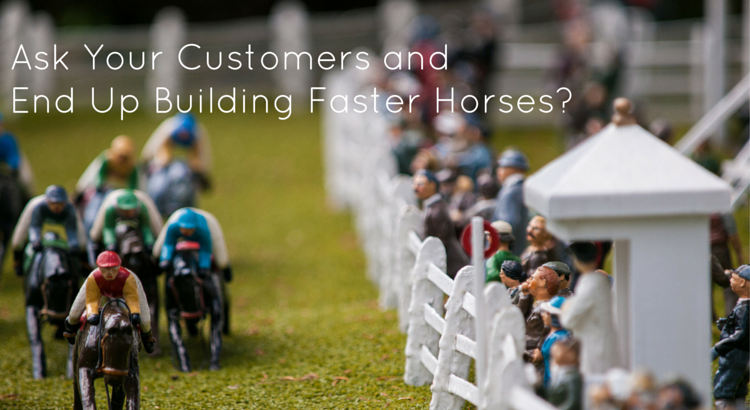 Historically B2B products have started off focusing on a very specific customer problem. They have typically used a very technical approach to solving that customer problem. But with consumer tech from entering the world of business through BYOD, the UX expectations for business applications have changed dramatically. What worked a decade ago does not cut it today, which The Clever PM explains well in “Being a B2B Platform Doesn’t Excuse Bad User Experience”. But user experience is not only about well designed user interfaces. The creation of most products start off with the design of UI mockups. But user experience is about so much more than a graphical user interface. There are even products with no user interface at all. So while making sure that your UI, if you have one, is getting proper attention, Juan José Ramírez reminds us to not forget that UX is about more than shiny interfaces. 2015 was the year that saw many enterprise applications make substantial investments into the user experience. Something almost unheard of a couple of years back. Are you making your product decisions based on gut feeling, or based on facts? From market research and interviews to measuring actual product usage, there are many ways to collect data points. Data points which can be used as input to product decisions. Big data has been on everyone’s mind and lips for the past 5 years. But 2015 was the year when big data really found its way into products management. Also beyond the realm of A/B testing in web development. Data takes emotion out of things, and visualization makes it easy to interpret. But data tend to lack context, and is not enough to drive innovation. Combining user experiments with data collection is what helps drive your product forward. Heather McCloskey, of UserVoice has provided great thoughts on the importance of data driven decision making, and Steven Telio, of Build on Purpose, on how visualizing data helps product managers. Heatmaps are great tools to get the user experience right. They help visualize large sets of user data, from which you can derive insight and improve your product. Pawel Grabowski of Smashing Copy shared great ideas of how to use heatmaps in “How to Use Heatmaps to Fire Up Your UX”. A/B testing is definitely not knew. But A/B testing is now finding its way from web development to other products. Together with click stream analysis, with which you follow a complete user journey, it is a great tool to measure actual usage. Again Pawel Grabowski covered the topic well in “8 Scalable User Research Methods for Product Development”. So you want to get started with data driven product decisions? What could be better than learning from the masters of data, Google? Kerry Rodden, quantitative UX researchers at Google, explain the framework Google use to quantitatively measure user experience and track improvements. Data is not only finding its way into product decisions though. It is also, for perhaps obvious reasons, properly finding its way into product launches. Defining, measuring and following up against launch KPI:s is key to a successful launch. Product Hunt has been around for a while. It was initially used for startups to launch. But during 2015 we’ve seen becoming a key platform for established companies to launch new products and even new functionality in existing products. On the list of most upvoted products in tech you find things like Teslas Powerwall AND Teslas Model X, Googles Inbox and Slack. In most loved tech products 2015 you find (new) WordPress.com and Plex for Apple TV. Clearly not only startup products find their way to Product Hunt now a days. While it is still new, and still small, you know that when Wired covers something it is starting to get traction. Thibaut Davoult launched Solid, an enterprise focused solution to run effective meetings, using Product Hunt. Solid got sign ups, web traffic and grew their (Slack) user community substantially. 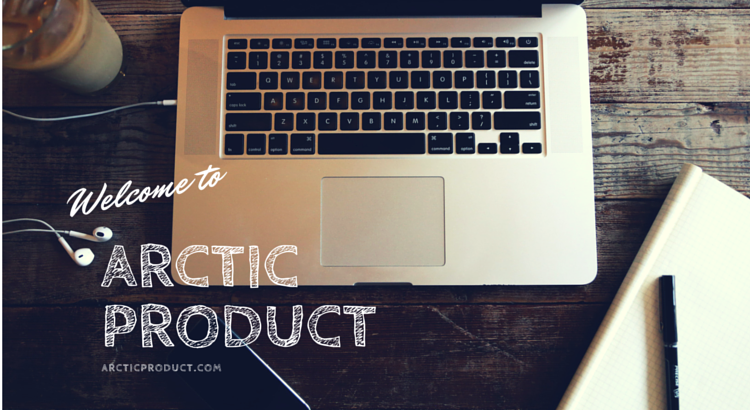 Yannick Khayati, Board of Innovation, used Product Hunt to re-launch an existing product. Board of Innovation had created a business model kit they used in trainings and workshops. But it was never made available as a standalone product. With Product Hunt they launched it as a downloadable product, to prove that it had value also to the startup community. The launch created not only new business from selling the business model kit, but also requests for innovation trainings. Which is their core business. Natalie Sirina of RealtimeBoard, an online whiteboard collaboration tool, talks about what time to launch in a Quora answer. She should know what she is talking about, as RealtimeBoard was recognized as #3 product of November on Product Hunt. Florent Ferere of Welkio is a maker of office visitor sign-in software. He has explained how they used Product Hunt to launch a clearly business-to-business focused product. Product Hunt is still primarily about reaching your early adopters. But if you’re an existing company launching a new product, or even just new functionality on existing products, consider using Product Hunt. If you decide to go ahead, whose advice would be better than that of the founder of Product Hunt? Ryan Hoover provides great tips on how to be successful with your launch. 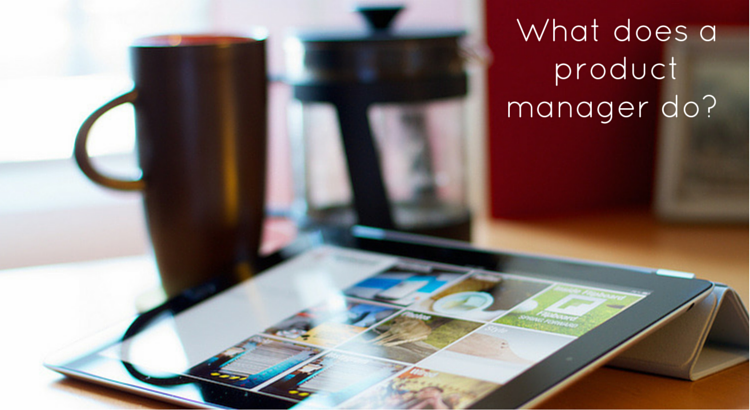 Bonus: The existential question – What is a product manager? Finally, a topic that was not new in 2015, but that was as relevant as ever. The somewhat existential question of “what is a product manager”? There were lengthy discussions on LinkedIn, Mind The Product and Medium. Also yours truly wrote several articles related to the topic, such as What does a Product Manager do? and Key Product Management responsibilities and how to prioritize?. We have seen discussions and posts covering what product management is not. What product management is (Roman Pichler). How product management is really a team sport (Martin Eriksson). How product management is not engineering (Masimba Sagwete). How product management is about saying no (Pawel Grabowski). How product management is about being the ceo of your product (Alexander Sandstrom). How it is not about being the ceo of your product (Ale Carlos and The Clever PM). And finally how product management is in the intersection between UX, tech and business (Josh Elman). Related is the discussion about product managers vs product owners (The Clever PM #1 and #2). 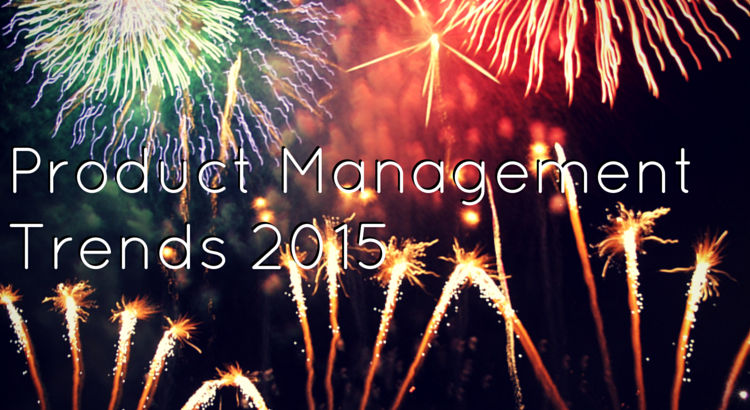 So to sum up, there has been plenty of interesting things happening in the world of product management in 2015. – Dates on roadmaps have been questioned. – UX is now more relevant than ever before, also in B2B. 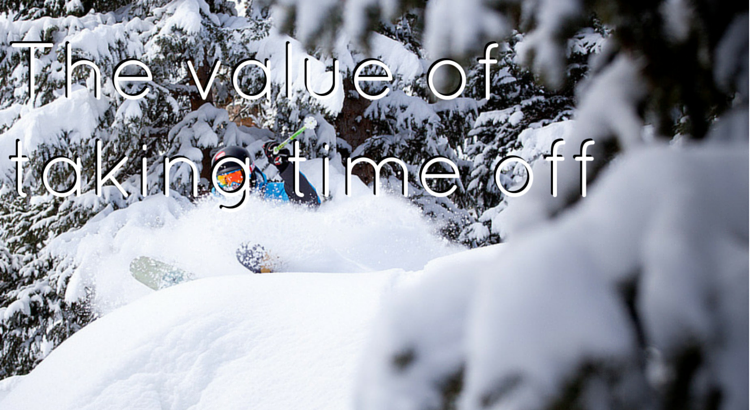 – Real, quantifiable, data is being used more and more to influence product decisions. Also outside of the space of web based products. – Product Hunt has shifted from being used to launch new startups, to a community into which existing business launch new products and functions. Finally like every year before it, 2015 has seen plenty of discussions about the existential topic of “what is product management?”. Now I am excited to see how these discussions will continue to shape product management in 2016.